March 15th, 2019 - Does My Bomb Look Big In This? Fresh from a great sleep upstairs in the East Hotel, we didn’t have to wander far to find an interesting breakfast. 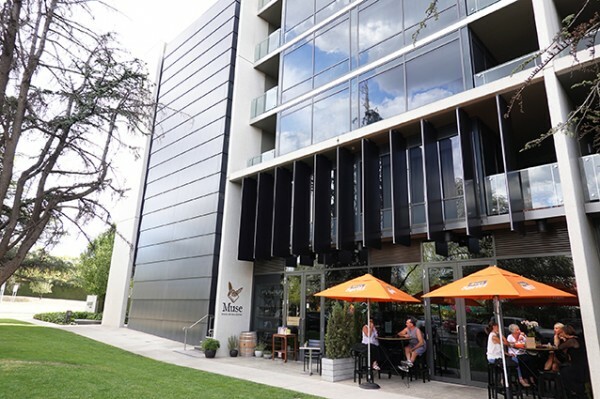 Muse: Food, Wine & Books is another of the hotel’s onsite restaurants. 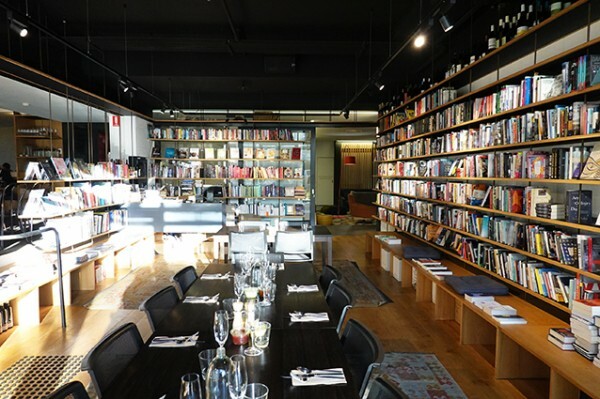 Part bookstore, part all-day diner, you can access Muse either through the hotel’s stylish lobby, or from the street if you happen to be a Canberra local. The audience is clearly a good mix, testament to the hotel giving each internal restaurant an external face and identity. 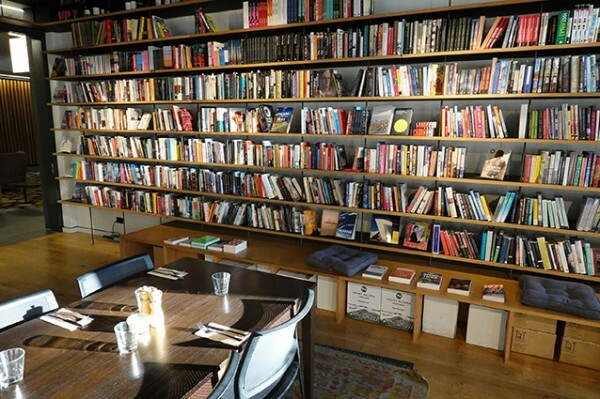 Being a bookshop restaurant, obviously books are a big part of the attraction, and you can buy a book at any time the restaurant is open. It’s not a gimmicky bookshop either, there’s a decent collection of contemporary fiction, current issues, arts and culture, food and wine, plus a political shelf where you can pick up a biography of your favourite ex-Prime Minister, with quite a few to choose from over the last few years. The other printed work I should mention is the wine list. 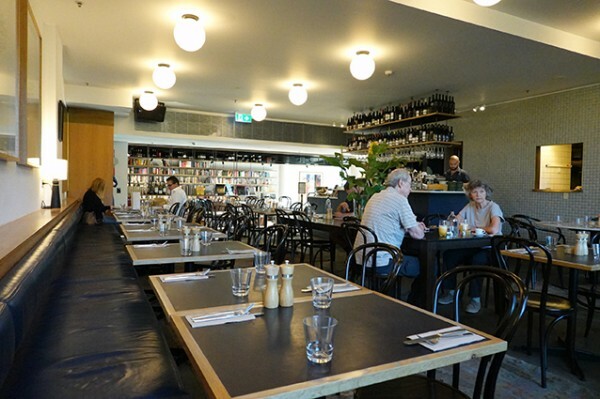 It’s interesting, wide-ranging and cleverly arranged; enough to make me regret dining here too early in the day to give it a thorough going over. After a slightly shaky start where staff show irritation after we arrive without a reservation for an 8.30am breakfast on the advice of hotel reception staff, we’re seated in the dove grey dining room. With a baby grand piano in one corner, and natural light streaming in from both sides, it’s an attractive but simply furnished space. 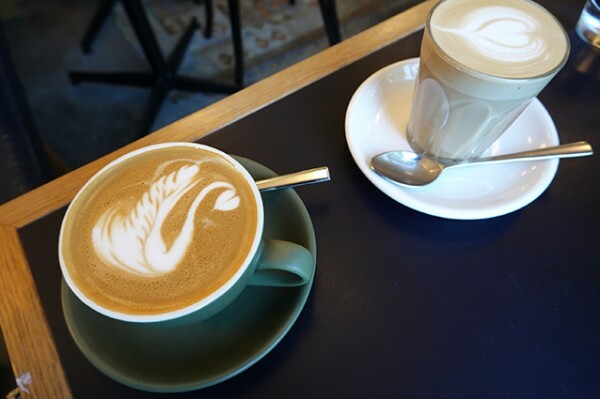 We’re quickly delivered our locally-roasted Red Brick Espresso coffees, in a pale-hued Latte ($4) and a Strong Flat White ($4.50). 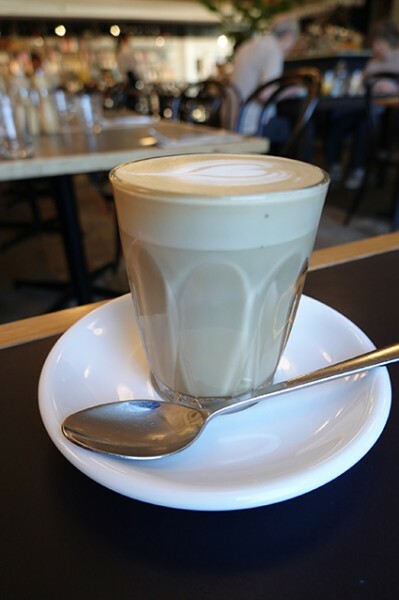 It’s smooth without being remarkable, a bit hollow in the middle for my liking. The breakfast menu is interesting, with dishes like Sriracha Eggs Benedict ($20) instantly grabbing my attention. 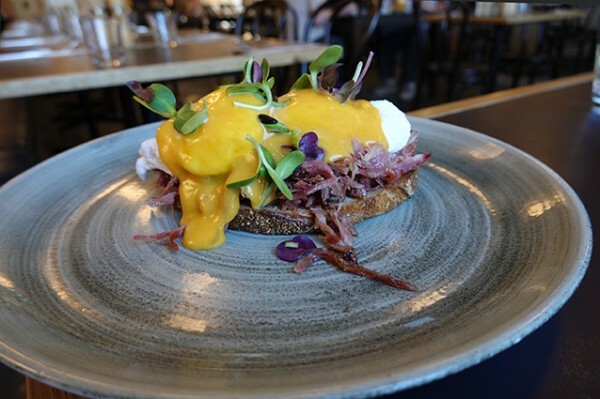 A pair of poached eggs sit with pulled ham hock on sourdough toast under an eye-catching orange sriracha Hollandaise that eats as well as it looks. I find the ham hock a bit intense for breakfast though, and in such a generous portion, it tends to dominate the other ingredients on the plate. Ordering a Full English Breakfast ($26) in regional areas is a good way to taste test local produce without much adornment. 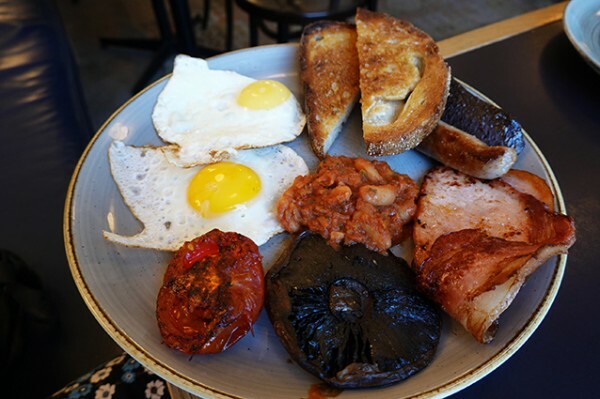 Described as “no ands, ifs or buts”, Muse’s big brekky includes fried eggs, sausage, thick cut bacon, black pudding, grilled tomato and a whole grilled field mushroom (my favourite thing on the plate). With this much food on one plate, it would be advisable for the kitchen to heat their high-end crockery to ensure the diner gets to enjoy all of their food hot.